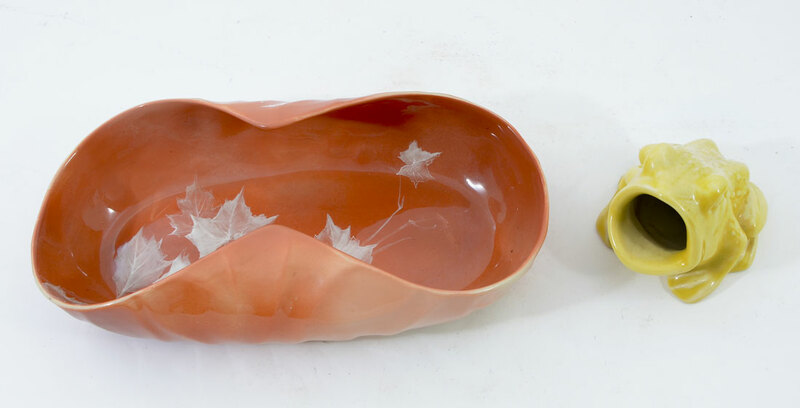 2 PIECE ROOKWOOD CELERY SERVING DISH & FROG: 2 pieces total to include 1) Hand painted white leaves and berries on burnt orange ground celery dish. Marked R.P 189O date mark. Shape 521 A. Signed H.E.W. (Harriet E. Wilcox). 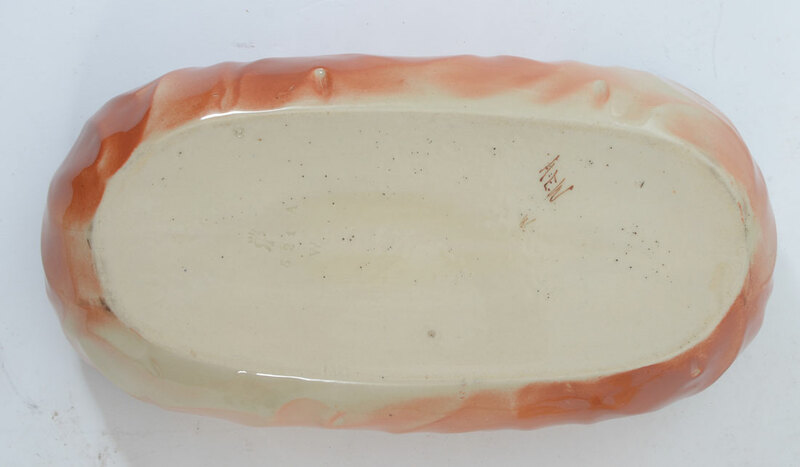 5'' h. x 10 1/2'' long. 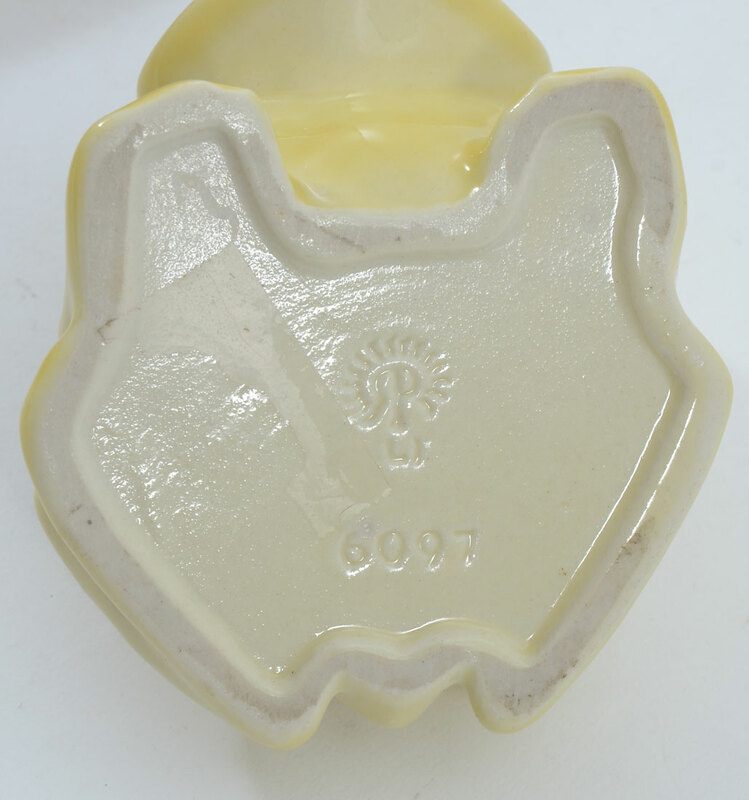 2) Frog ashtray, yellow glaze, #6097, 1951 date, 3'' h.